The Fashion Awards is a ceremony held annually in the United Kingdom since 1989 to showcase both British and international individuals and businesses who have made the most outstanding contributions to the fashion industry during the year. The ceremony is organized by the British Fashion Council, and is the primary fundraiser for the BFC’s Education Foundation; a charity which promotes excellence in design by financially supporting students with the ability and potential to make an exceptional contribution to the fashion industry. In 2016, the British Fashion Awards was rebranded as The Fashion Awards. The Fashion Awards 2017 in partnership with Swarovksi was held at the Royal Albert Hall on Monday 4 December. Originally named the British Fashion Awards, the first Fashion Awards ceremony took place on 17 October 1989 and was attended by Princess Diana, who wore a Catherine Walker gown especially for the occasion. In 2010 four time winner of British Designer of the Year award, Lee Alexander McQueen received the award for Outstanding Achievement in Fashion Design in recognition for his extraordinary career. In 2007 the Fashion Creator Award is renamed Isabella Blow Award for Fashion Creator in honour of Isabella Blow, who died on 7 May 2007. Blow was renowned for her unerring support of British designers and for her contribution to the international fashion industry as a whole. Recognises an international designer whose innovative collections have made a notable impact on the industry, defining the shape of global fashion. Celebrates a designer that has proven instrumental in elevating accessories to the forefront of the fashion industry, demonstrating a skill for both creativity and commerce, and establishing their brand as a global fashion leader. This award recognises the work of a CEO or President of a fashion business who has overseen both creative and commercial success in the past year. With a natural aptitude to nurture both creative talent and commercial growth, the ‘Business Leader’ enables creative freedom alongside financial stability, which in turn generates innovation and excitement within the industry and beyond. Celebrating the innovation and influence of a contemporary apparel brand, the recipient of this award has redefined the way ‘sportswear’ is perceived across the globe, elevating ‘casual’ to high end and directional fashion. Recognising new British womenswear talent, this award celebrates a British-based womenswear or accessories designer who over the last 12 months has had a major creative impact on global fashion. Celebrating emerging talent in British menswear, this award recognises the innovation and creative influence from a British-based menswear or accessories designer, whose collections have gained international attention this year. Celebrating a British womenswear designer that has been instrumental in innovating and leading women’s fashion over the last year – excelling both creatively and commercially, creating an impressive footprint on the global fashion stage. Recognises a leading British menswear designer who has consistently made a global impact with their innovative and creative designs, shaping the burgeoning international menswear landscape. Recognises the global impact of a model, male or female, who over the last 12 months has dominated the industry. With an influence that transcends the catwalk, the Model of The Year has made an outstanding contribution to the industry, garnering numerous editorial and advertising campaigns throughout the year. The Outstanding Achievement Award celebrates the overwhelming creative contribution of an individual to the fashion industry, who throughout their illustrious career has constantly shaped and reshaped the fashion world through their innovation and creativity. Their influence has reached far beyond the industry, influencing the way the general public perceive and consume fashion. This timeless visionary remains an inspiration to both peers and protégés alike. The Swarovski Award for Positive Change recognises and celebrates brands or individuals who promote the welfare of others and generously use their resources to benefit good causes. Recognising the very best innovators and creatives in fashion, this award celebrates invaluable contributions that have changed the entire fashion landscape. With a discerning eye and incessant drive, this creative has brought designers’ creations to life and helped create worlds within brands.. Their dedication to the craft has garnered legions of fans and the incredible body of work has already left an indelible mark on the entire industry and garnered legions of fans. 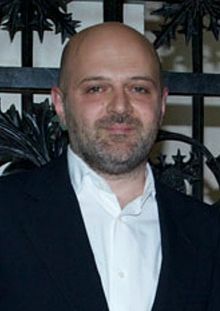 Hussein Chalayan Awarded twice (in 1999 and 2000). Emerging Talent Award - Accessories Tabitha Simmons. ^ "Awards History". Retrieved 27 March 2014. ^ "How The Fashion Awards Sold Out Britain". Ikon London Magazine. 17 December 2016. Retrieved 1 January 2017. ^ "Winners 2013". Retrieved 27 March 2014. ^ "British Fashion Awards-Facts & Figures" (PDF). Retrieved 27 March 2014. ^ "2013 Award Winners". Archived from the original on 27 March 2014. Retrieved 27 March 2014. ^ "2012 Award Winners". Retrieved 27 March 2014. ^ "2011 Award Winners". Retrieved 27 March 2014. ^ "2010 Award Winners". Retrieved 27 March 2014. ^ "2009 Award Winners". Retrieved 27 March 2014. This page was last edited on 11 April 2019, at 21:32 (UTC).